Aromatherapy is the art of healing through essential oils. Aromatherapy is a branch of herbal medicine is a therapeutic approach based on aromatic essences and essential oils of certain plants. 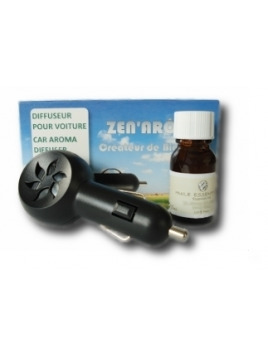 Essential oils are fragrant and volatile substances present in certain plants. Their biochemical structure (composition) is very rich and complex, some essential oils contain up to 200 different active ingredients. Their power is such that they should be handled with utmost care and specialist advice. The purchase of an essential oil requires appropriate information. Not only, they can be irritating, but taken in large quantities (1/2ml) or fragile subjects (young children, pregnant women ...) they can cause irreversible damage. Essential oils are the few products whose price is often high. It takes a lot of raw material to obtain small amount of Essential Oil (ET). Organic essential oil, Juniper, 5ml, by BIOTOPE Mountains.